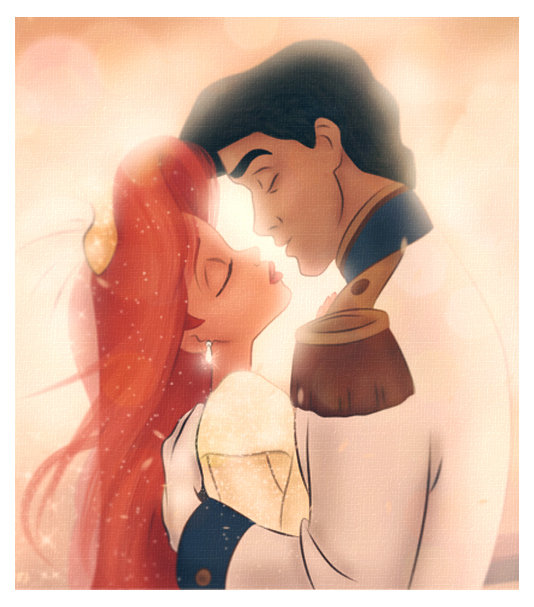 Ariel and Eric. . Wallpaper and background images in the Ariel and Eric club tagged: prince eric ariel the little mermaid disney pink dress. This is probably my favorite fan art ever made. Aww I LOVE This! This is my favourite fan art of Ariel & Eric! Their so beautiful in this pic!